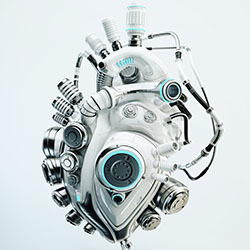 In this month’s story, the owner of an artificial heart discovers that repairing the machine that has been keeping him alive will cost more than he originally paid for it, so much more, that he cannot afford the name brand part the manufacturer insists he must use. With only a few days to come up with the money, he is desperate to find a solution. Written and read by Alan V Hare.